Hey everybody! Today’s post I’m going to talk about my all time favorite drugstore palettes. As much as I love to talk about new product releases, I want to share with you some of my oldies but goodies favorites here. In this post, I’ll be talking about the best drugstore eyeshadow palettes that I’ve been loving over the past and till this date. As you may notice on the title of this post, you’ll also find some wear and tear from these palettes. All color swatches shown below are without primer and is swiped on bare arms using only my fingers. First up is the Milani Everyday Eyes Palettes that I fell head over heels over with. As soon as I saw a beauty YouTuber talks about the new launch many moons ago, I started my quest to hunt it down. Soon enough, I found it at Walmart a week later and the rest is history. I’ve been loving this palette ever since. It’s a gorgeous palette! I really like that it has a bright orange shadow that will be perfect for summer wear. While the rest of the neutral colors you can wear them on your no- makeup makeup day. If you haven’t tried this yet, I’m telling you to run to your nearest drugstore or Walmart and grab one today. For the price and quality, it’s drugstore thumb’s up from me! By the way, did I mentioned that it’s also cruelty free! Thought you might want to know. I’m a fan of e.l.f products and when I saw they launched their eyeshadow palette, I was in cloud nine. It’s rare to find all matte eyeshadows from a drugstore brand but e.l.f sure nails it with the e.l.f. Mad for Matte Palette that houses 10 eyeshadow shades. Nicely pigmented shadows that’s easily blendable and natural looking but you still need an eyeshadow base or primer if you’re looking for a bold and intense matte finishing then look no further. Here’s something you would love for beginners. Next in my list of favorite is another Wet n Wild Au Naturel Eyeshadow Palette. If you love natural eyeshadow palette with a hint of plum shadows, then you’re going to like this. I really have nothing bad to say about the pigmentation as you can see them for yourself. You get a nice color selections of shimmer and matte shadows all in one palette. If it’s calling your name, then do yourself a favor and pick up one today. When it comes to Covergirl Eyeshadows Palette, I don’t have much luck with this brand. It’s either a hit or miss. But when I saw their new launch of Covergirl TruNaked Palette at my local drugstore – I was completely sucked in. To be honest, I don’t put much expectation on this based on past history but I was totally taken a back when I did the color swatch. Turns out, the formula is super pigmented, smooth and soft! All the shades are so versatile that you’ll want to wear them everyday. Definitely give this palette a try! I save the best for last and it’s the Wet n Wild Comfort Zone Palette. It’s not a new release but rather an old palette that keeps me going back to wear it after all these years. The pigmentation is mind blowing. Super pigmented!!! Love that Wet n Wild products are not tested on animals and if you’re environmentally concern then you’re going to love this. I swear by it! Get yours NOW! How gorgeous is it! Incredibly pigmented formula with the best affordable pricing only available at Walmart or your local drugstores. It’s definitely a winner in my book! Well there you have it! My favorite drugstore eyeshadow palettes! Which is your favorite palette of them all? This concludes my Best Drugstore Palette – Oldies but Goodies segment for this month and I hope to do a few more series of the same nature. Let me know what you think or if there’s any products you want me to feature them here on my blog. I love to hear what you think. *These are online prices!!! Price may differ depending on the location you’re in. Next postCurrently OBSESSED with these Summer Goodies – Hit or Miss? I love these shades. They are neutral and perfect for my skin tone. OMG, I think I am in love with the last palette by Wet n Wild! The colour is so nice, and you mention its pigmented. Not to mention the price is reasonable! I like the Wet n Wild colors. Would love to try it out. 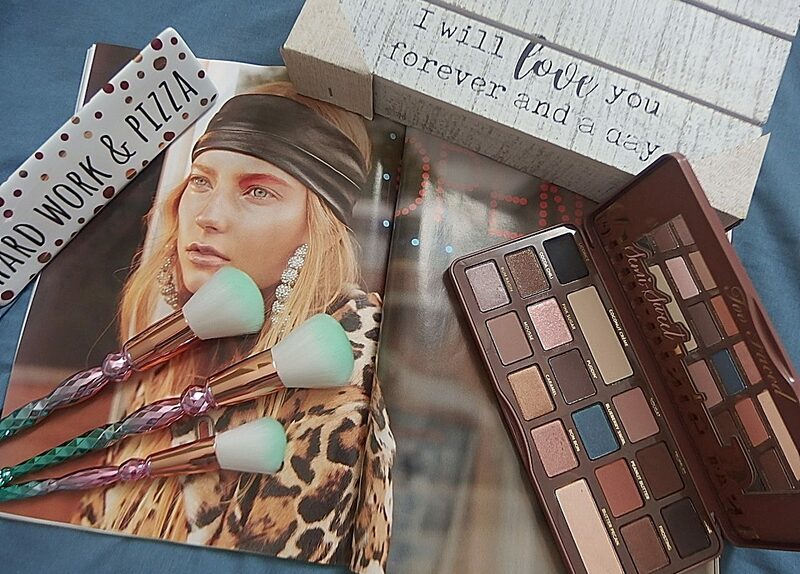 These palettes are indeed goodies. I love that they are inexpensive and easily accessible. The shades are awesome too and seem to fit Asian skin colours. Who knew that there were so many amazing drugstore palettes. I am in love with the different color variations. There are definitely a bunch of really amazing palettes at the drugstore! I love the Milani ones. Omg ! Can i have all of these ? So many colors and tones. The Wet n Wild Comfort Zone Palette was one of the very first things I purchased when I got interested in makeup so I definitely agree that this is one worth owning! Love your round-up! These are some great colors! I don’t use make up, but I really liked your post. Honestly I did. I thought your photos where wonderful, I thought you did an amazing job presenting all the shades and I really like the idea of going back back and doing a oldie but goodie post. They are some of my favorite blog posts. Aww thank you kindly! So glad to hear that you liked it. The swatches on the wet and wild comfort zone palette thought! 🙂 Loving the post, it is certainly very well written. I haven’t tried any of these palettes but I’m very impressed with the good pigmentation of the WnW Comfort Zone Palette. Will definitely check this out in stores. Many of my beauty blogger friends are raving about the shops in the states because in Singapore, it’s all Sephora and SaSa and nothing else! Will love to visit them one day! As for me, I would go for Maybeline and ELF. These two are superb products that offering really affordable price. Aww thank you kindly Racheal! Drugstores have really increased their selection of items and makeup. I am impressed.